The words “quality kitchen appliances” and “cheap” aren’t usually found in the same sentence. (Unless that sentence is, “boy howdy, these quality kitchen appliances sure aren’t cheap.”) Smeg appliances aren’t an exception to this rule. The Italian design company peddles sleek, charming fridges, dishwashers, and ovens, with a price tag that matches their chic aesthetic. 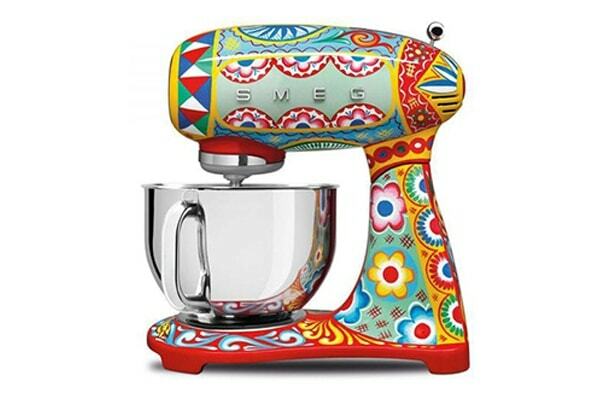 Smeg are the Ferrari of cookery, the home baker’s Lamborghini. There’s something to be said for buying quality. You’re not supposed to replace your fridge often, so you might as well buy something durable. 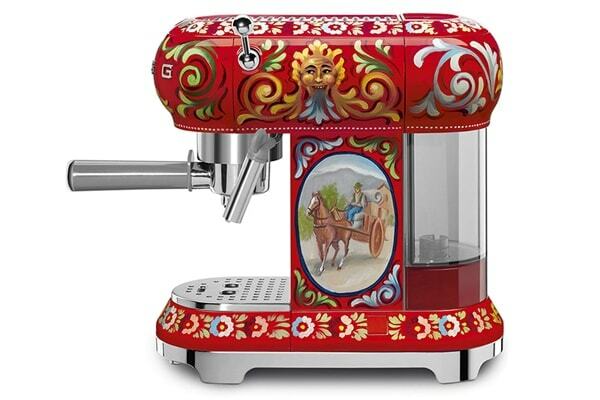 And, Smeg appliances are pricier because you’re paying for something artistic and Italian. 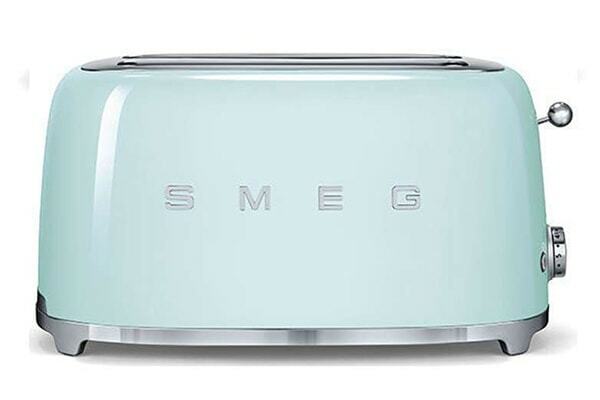 That charming pastel green $200 Smeg toaster sitting on your counter? It’s not just there to toast your bread. It starts conversation! Picture spirited debates about mid-century interior design over a tray of sourdough toast! Can you see it now? 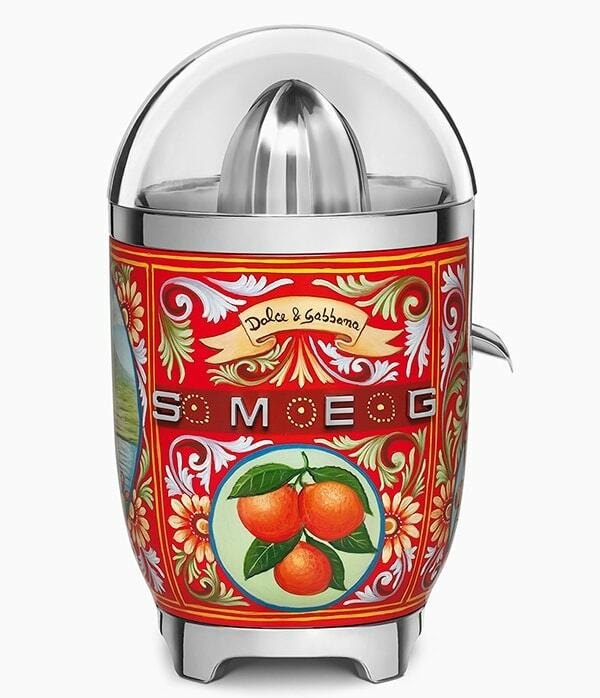 But Smeg’s latest collaboration with Dolce & Gabbana is on a whole new level, and none of the items even come with a complimentary bottle of Limoncello, though you might need one after reading the prices. 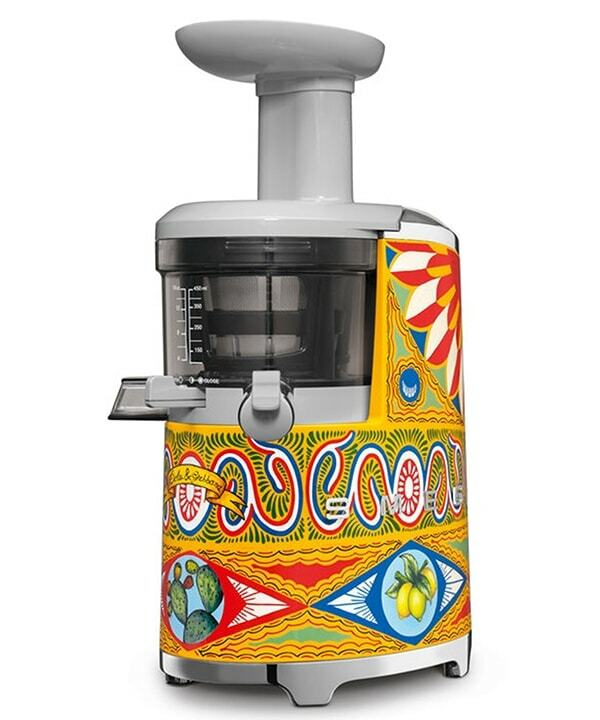 The new line of bold, vibrant, small domestic appliances is inspired by the Sicilian landscape and culinary history. A two-slice toaster from the Sicily is My Love collection, with silkscreen and lithograph illustrations of birds, boats, and fruits is $600. 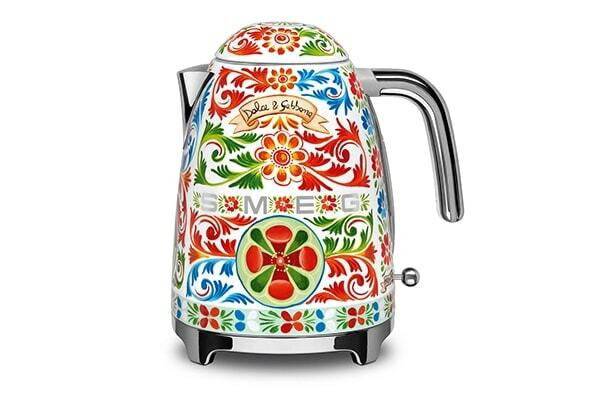 The matching tea kettle and citrus juicer? Also $600. Who buys a $600 toaster? We had a few thoughts. 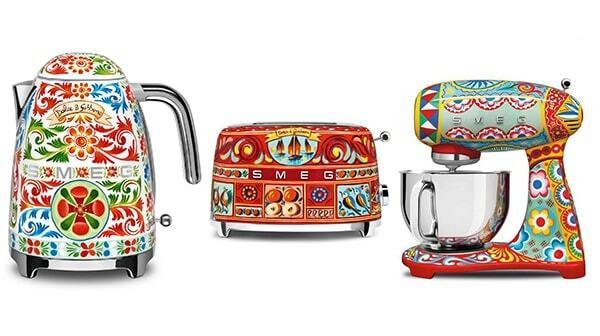 Who’s Buying These Lavish Dolce & Gabbana x Smeg Appliances? Brent, 31, works in finance and does not realize American Psycho is a satire. He just broke up with his age-appropriate girlfriend, and lately has been trying to impress a 19-year-old French model, and it’s “not weird” because she’s an “old soul” who appreciates the finer things. He thinks the toaster might catch her eye. Vivienne and Julian, 40, are in a pickle. Vivienne inherited a home in the Hamptons from her father, and they are trying to fill it with things that scream “summer,” but nautical is just so tacky. Fortunately, Julian just inherited $3.2 million from his father. They buy a kettle for every room in the house. Marguerite, 26, just got back from 3 years “finding herself” in Nicaragua and is ready to start her Freegan Granola Delivery service. To fuel her venture, she begins every day with a glass of fresh-squeezed organic OJ. Hands tired from all that pressing, Marguerite buys the big juicer. Theo, 23, is envious of all of his college friends, their grinding, early 20-something struggles, their mounds of student debt. When he is not at his 20-hour-a-week unpaid internship at GQ, he stands in his expansive kitchen, eyes closed, hands on his espresso machine, pretending he is a struggling artist toiling at a café. Theo’s friends have a separate group chat without him. Todd, 40, knows Diane, 38, is about to leave him. 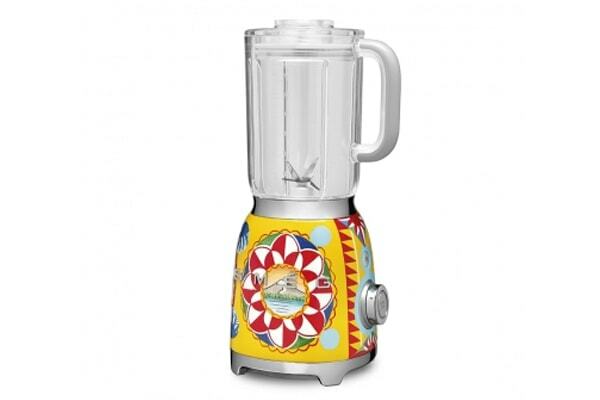 He buys her the Smeg blender in the hopes she will stay. Diane majored in art and her taste has always been more Postmodern than Minimalist. How could he not have known? After all these years? Ethel, 78, knows that her grandson Mark, 27, and his new wife Amala, 28, are setting up their first home. She wants to get him something nice and well-made. She buys them the SMEG Mixer. Mark and Amala decide that it’s totally cute, but does not match the other items on their registry. They sell the thing and buy tickets to a Heavy Metal Cruise. It’s a great time, and they make lifelong friends with several other metalheads. Okay, okay, and maybe we want them too. I mean, they’re just so pretty! 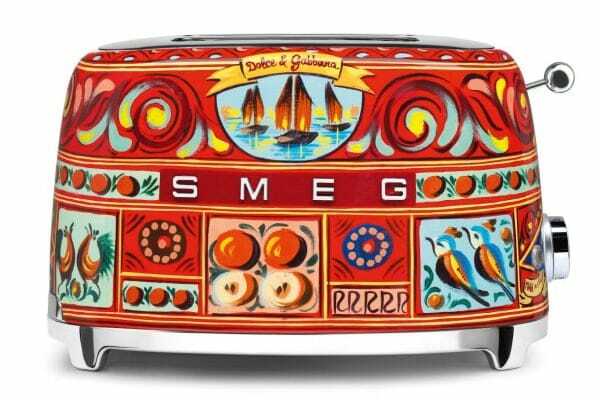 You can pre-order us one of the Smeg x Dolce & Gabbana appliances at Neiman Marcus here. If we close our eyes and envision our counter, we can see it now.